The Virginia House of Delegates passed House Resolution No. 37, celebrating the life of Lieutenant General Samuel V. Wilson. On Wednesday, February 6, 2019, the Virginia House of Delegates presented House Resolution No. 37, celebrating the life of Lieutenant General Samuel V. Wilson, to General Wilson’s wife, son, and a delegation from Hampden-Sydney College. Delegate Chris Peace ’98 (R-97) read the resolution aloud in the House chamber. Members present recognized the guests who sat in the galley for the proceedings, which included Hampden-Sydney student leaders. 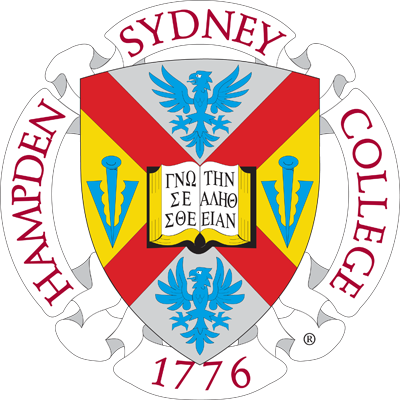 As president of Hampden-Sydney from 1992 to 2000, “General Sam” guided the College and mentored its students through a time of instability, ushering in a new era of growth. Sam Wilson’s commitment to service began at the age of 16 and continued to his passing at the age of 93. After hearing Churchill’s “fight on the beaches” speech on the radio, young Sam lied about his age in order to enlist in the Virginia National Guard and serve his country. Before long, he was commissioned a second lieutenant in the Army, and his service took him to the jungles of Burma as a member of the legendary Merrill’s Marauders during World War II. General Wilson later became commander of the 6th Special Forces Group, pioneered the doctrine of counter-insurgency, and led intelligence operations in Moscow as the first defense attaché to the Soviet Union. He served as Deputy to the Director of Central Intelligence for the Intelligence Community and, ultimately, as Director of the Defense Intelligence Agency, before retiring in 1977. General Sam continued to serve our nation by co-authoring legislation to establish the United States Special Operations Command and offering guidance to high-level leaders in the U.S. government, both during and after his leadership of Hampden-Sydney College. The most fitting way for us to honor Sam Wilson would be to commit ourselves to live up to, and into, the example he set for us and to champion character development alongside intellectual growth. 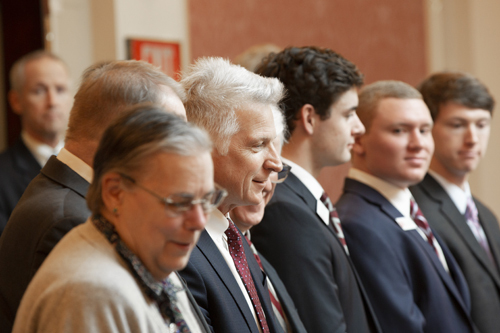 At an evening reception in Richmond on Wednesday for friends of the Wilson family and Hampden-Sydney, College President Larry Stimpert saluted General Wilson’s selfless and consistent commitment to leadership and service. Stimpert noted the similarities between General Wilson and other prominent American leaders who have recently passed away, such as President George H. W. Bush and Senator John McCain. House Resolution 37 was introduced by Delegate Jason Miyares (R-82) and passed by the House of Delegates on February 2, 2018.